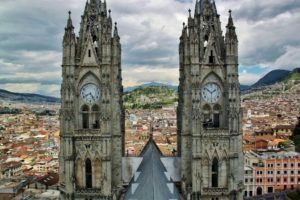 Top things to do in Quito! There are many activities and sights to see in Quito, but what are the must-sees? 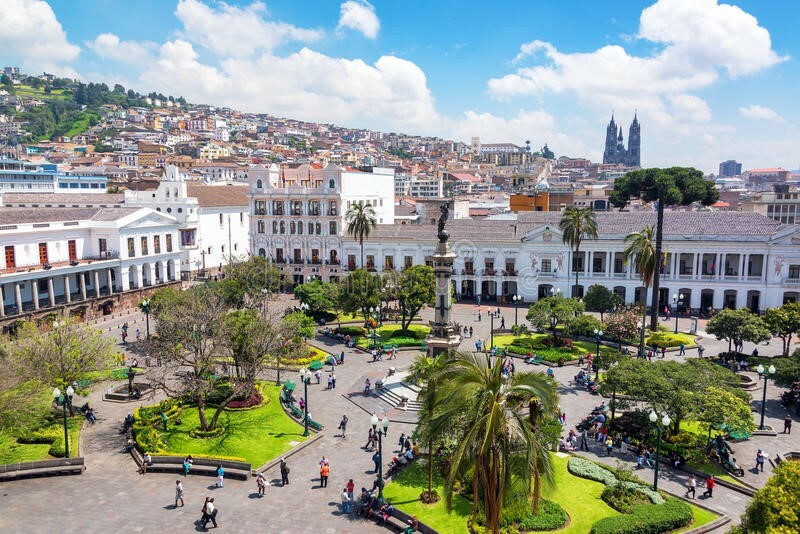 We give you a local insight into the top things to do in Quito. The street of 7 crosses is one of the most important and oldest religious sights that can be seen in the Old Town of Quito. On one street ‘La calle García Moreno’ 7 churches can be found built in different centuries. 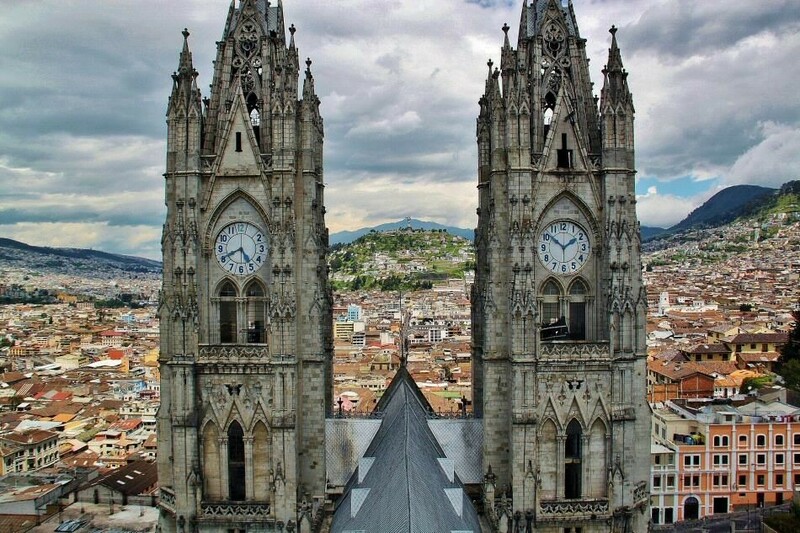 Almost every Ecuadorian agrees that the church ‘La Compania’ is the most beautiful church in Quito, so this is definitely a must-see! This basilica is the largest neo-Gothic basilica in the Americas. The classic gargoyles are replaced by turtles, armadillos, reptiles which give it a special Ecuadorian touch. However, the spectacular highlight of the basilica is its towers. You can climb them all the way to the top, but it’s good to have some steel nerves. The climb is quite scary, but the view is totally worth it. 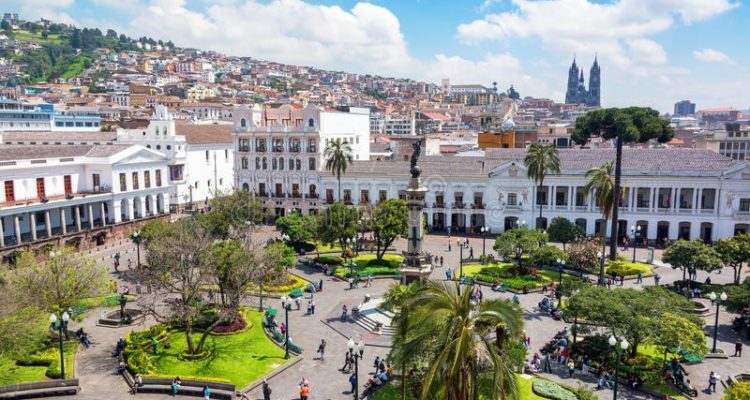 Known in Quito as Plaza Grande, la plaza de la Independencia is a sight you can’t miss visiting. It’s part of the rich history of the independence of Ecuador. Plaza Grande is always full of Ecuadorians. They chat, relax, and get their shoes cleaned. 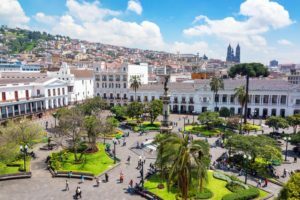 Also, Plaza Grande is surrounded by the house of the president (Palacio de Gobierno), and another beautiful cathedral (Cathedral Metropolitana). The huge statue up on the hill? That is ‘La Virgen del Panecillo’. 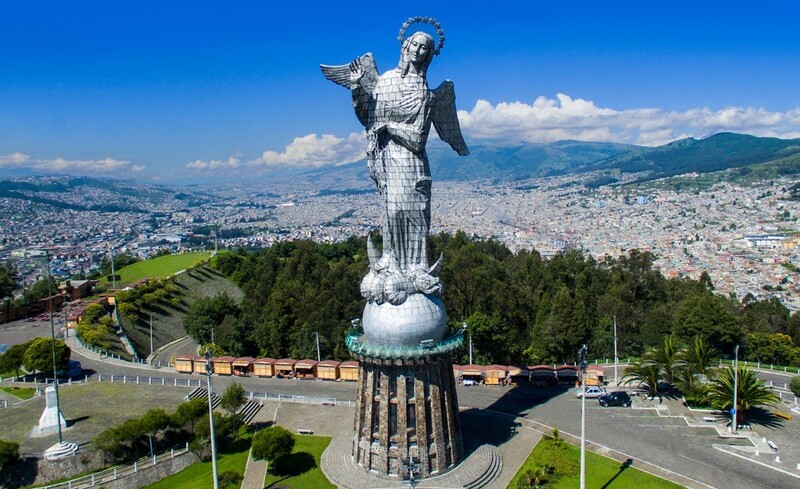 It’s a 41-meter-tall statue of the Virgin of Quito. The statue has a very symbolic meaning, which you can see by its appearance. The statue is not an angel. It’s Mary, Jesus’s mother and termed in Catholic circles, The Madonna. It’s a beautiful sight, once upon the hill, you will be rewarded with a beautiful view of Quito. This is definitely something that must be seen at night! 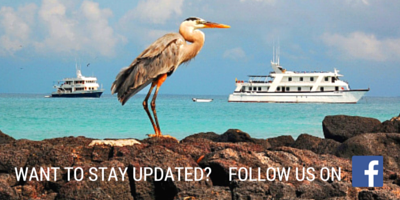 We do advise you to take a taxi at all times when visiting El Panecillo. The neighbourhood you have to cross through can be quite dangerous. Let’s get out of the Old Town for a second. Want to find some good places to go dancing or have some drinks? Go to Plaza Foch in La Mariscal. There are many bars and clubs, with all types of music, drinks and food. All bars and clubs are open Wednesday (ladies’ night), Friday, and Saturday night. And who wants to dance salsa – has to go on Tuesdays to Café Democrático. Do you want to enjoy some local delicacies with live music? Then you must visit Calle de la Ronda. This street offers a beautiful sight of historic buildings and also has a very interesting history. It’s said that men would serenade to the women on the balconies. Did they sing well? Then they could come in and meet the family and the girl. Was it a fail? Then they would throw down a bucket of water onto the man. That is what made this street so popular. There are many parks in Quito such as Metropolitano or the Botanic garden. However, the closest and most popular to the centre of Quito is ‘el parque de la Carolina’. It’s a great park to relax and to follow the daily life of locals. The park is also perfect for exercising. There are facilities for football, volleyball, fitness, running and much more, and the best, that it’s all free of charge. On weekends, the park is busy so it’s fun to walk around and just watch people as they pass by. Besides, you can rent paddleboats and grab a snack at one of the many food stalls. You spend approximately an hour walking to see the entire park. 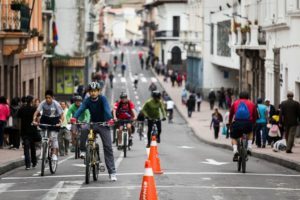 Want to do something active, but not leave Quito? Go up on the sky tram of Quito. 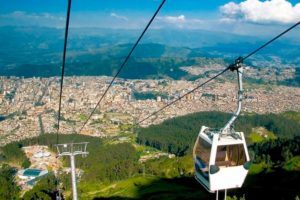 Here you are rewarded with a spectacular view of Quito and its surroundings. This is a very nice place to relax. Once you’re at the top (a mere 4100m), you can choose to hike to the summit of Rucu Pichincha (4680m), a 4km (five-hour) round-trip. It’s a hike worth attempting! However, if you are not in the mood for an intense hike, you can simply take the teleférico down again. Note that it’s better to acclimatize a couple of days in Quito before going up to this altitude. 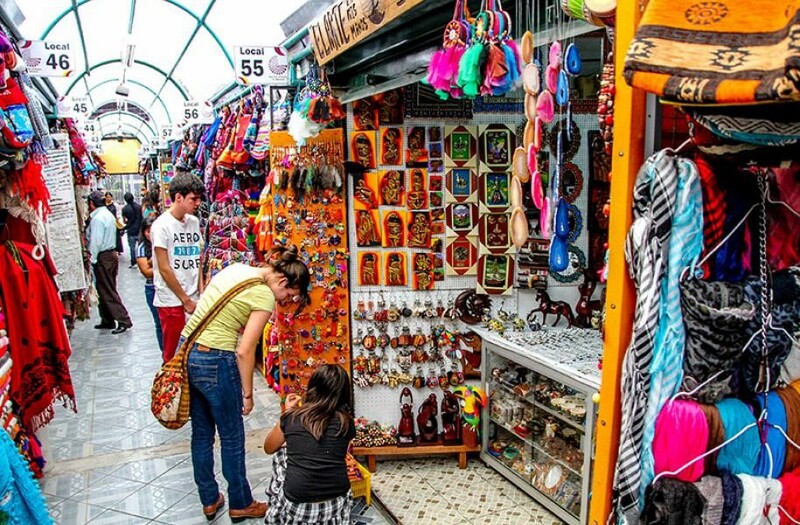 Get a local experience by visiting the different markets in Quito. 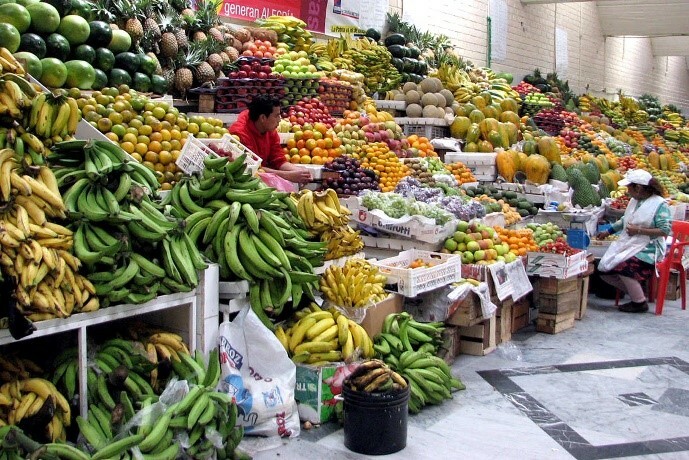 Discover some of Quito’s most traditional (and cheapest) foods! Head straight to the Mercado Central, between Esmeraldas and Manabí, and try some of the local specialities. 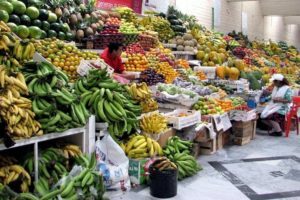 This is also a great place to buy bunch of fruits and vegetables for really cheap. Another market is Mercado Artesanal. This market in Quito’s Mariscal area holds some of the best souvenirs of Ecuador, and is just down the street from Plaza Foch. Don’t forget to bargain, as it’s easy to get a couple of dollars off. 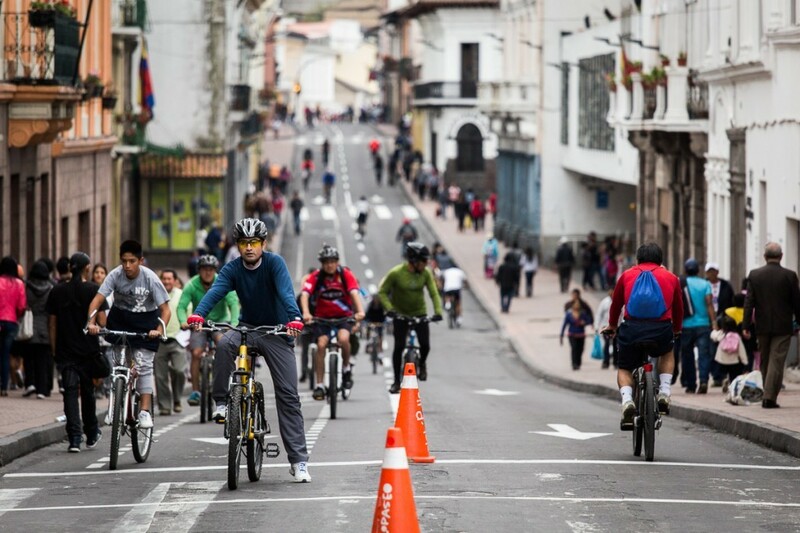 Rent a bike and ride around Quito in peace, because large parts of Quito are car-free on Sundays! A great way to do some sight-seeing. It is a route of 30 km running from the North to South of the city is closed to traffic every Sunday from 8 am until 2 pm to give preference to bicycles and pedestrians. The route runs all the way from Carolina Park, Ejido Park the Historic Center of Quito, Avenue Rio Amazonas, and The Panecillo.